The Northampton Community Farm is a project of the non-profit group Grow Food Northampton. Grow Food Northampton incorporated in 2010 with the goal of purchasing the Bean and Allard farmland in Northampton for long term use as a community farm. Their campaign to save the farm was an amazing success and Grow Food Northampton purchased the farm in February of 2011. 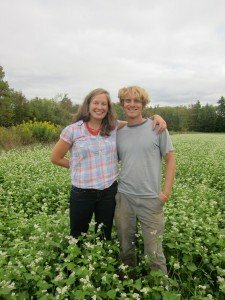 In August of 2010 Jen and Nate were selected by Grow Food Northampton as the anchor CSA farmers for the new Northampton Community Farm. In 2011 Jen and Nate started a community based farm, Crimson & Clover Farm, on the Northampton Community Farm land. 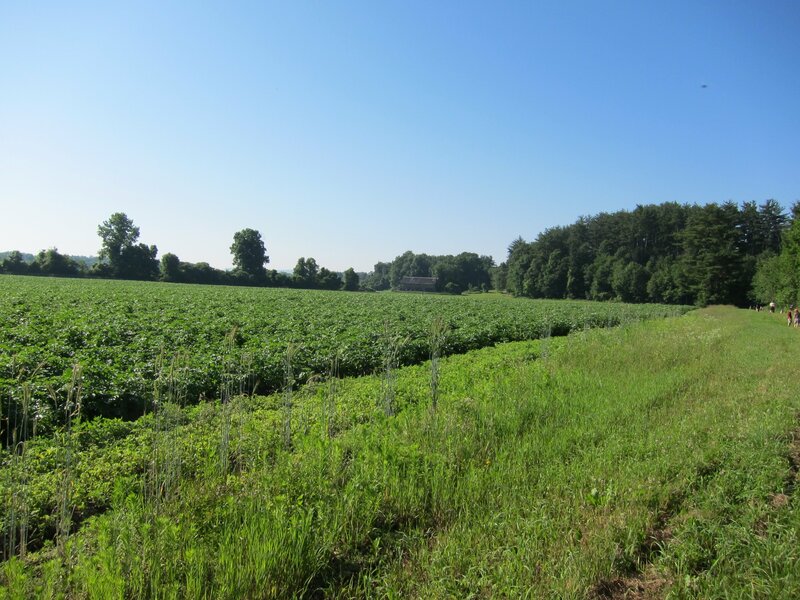 We are incredibly humbled by the opportunity to start a farm on this beautiful land, and we recognize that we are just two in a long line of farmer stewards of this amazing community resource. Last spring, Grow Food Northampton inked a three-year lease of it’s 10-acre “East Field” to Slow Tractor Farm, owned by Andrea and Christian Stanley of Hadley, MA. Andrea & Christian are better known for their successful young business,Valley Malt, that malts locally-grown barley to sell to local breweries. 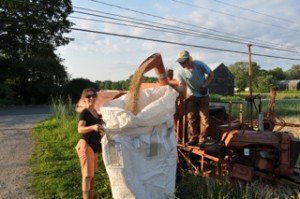 Slow Tractor Farm grew oats, wheat, & barley on the East Field and Main Fields of the Northampton Community Farm.